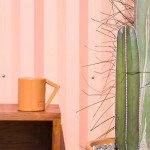 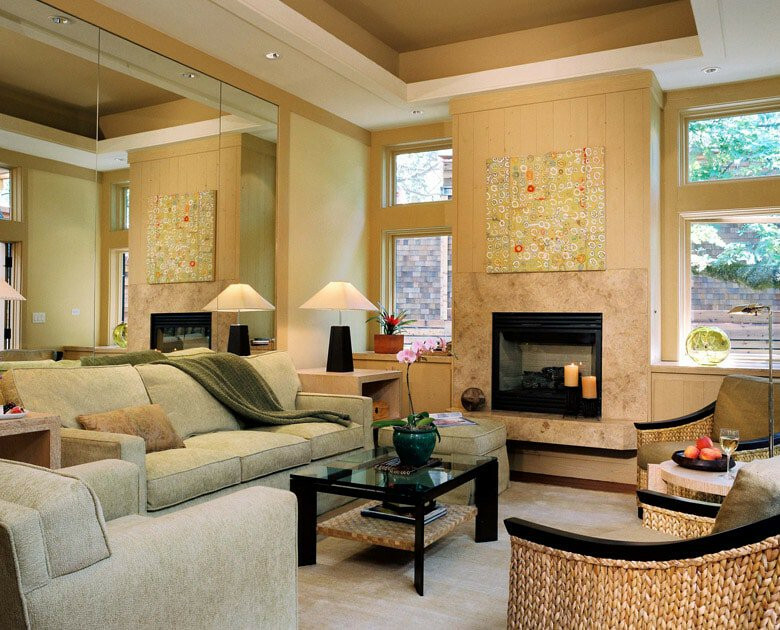 Warm furnishings. 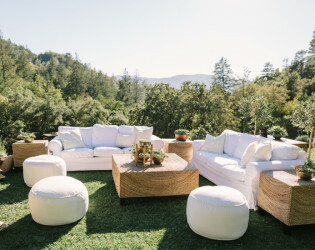 Natural textiles. Expansive views. Wine... 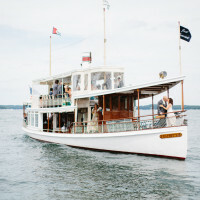 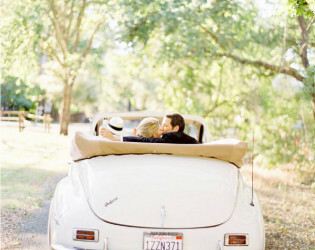 Wedding weekend? Check. 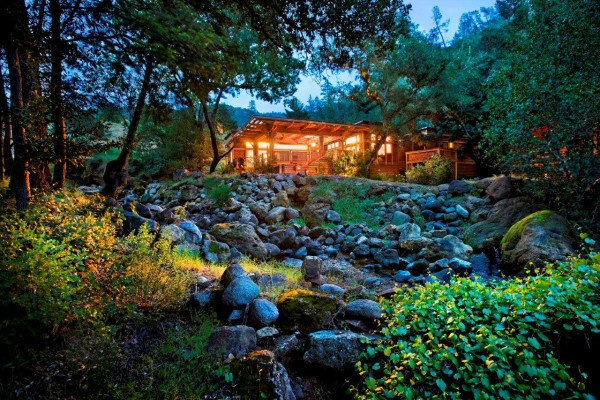 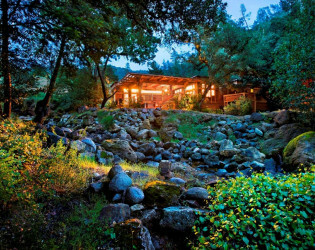 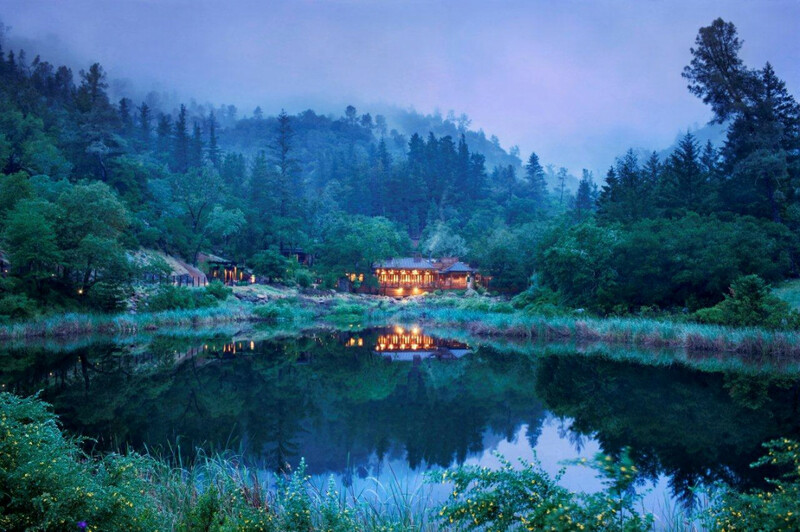 157 acres of ancient oaks, majestic hills, and a private lake waits at the Calistoga Ranch. 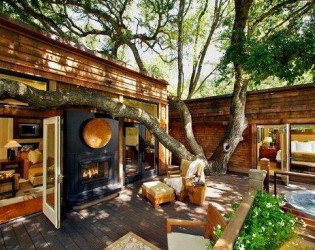 Nestled among magestic century old oal trees ina secluded Napa Valley Canyon off the Silverado Trail lies Calistoga Ranch. 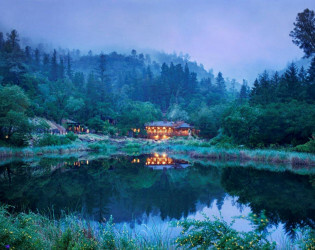 Beyond the bridge, enter in a tranquil world where guests coexist with nature in understaded luxury. 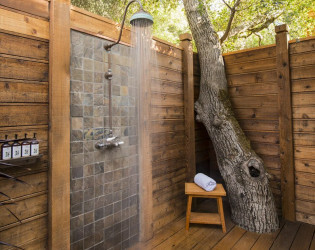 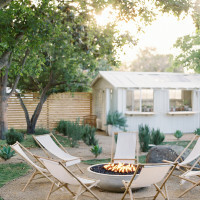 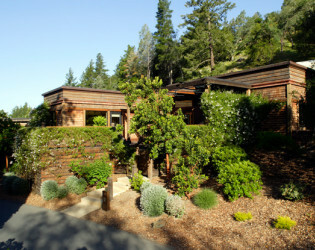 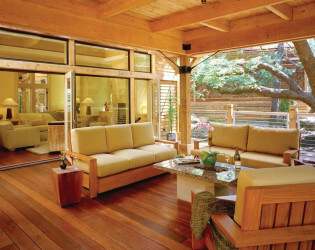 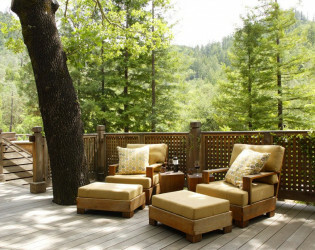 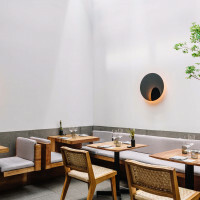 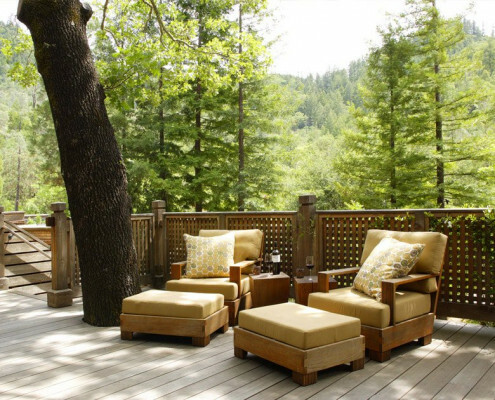 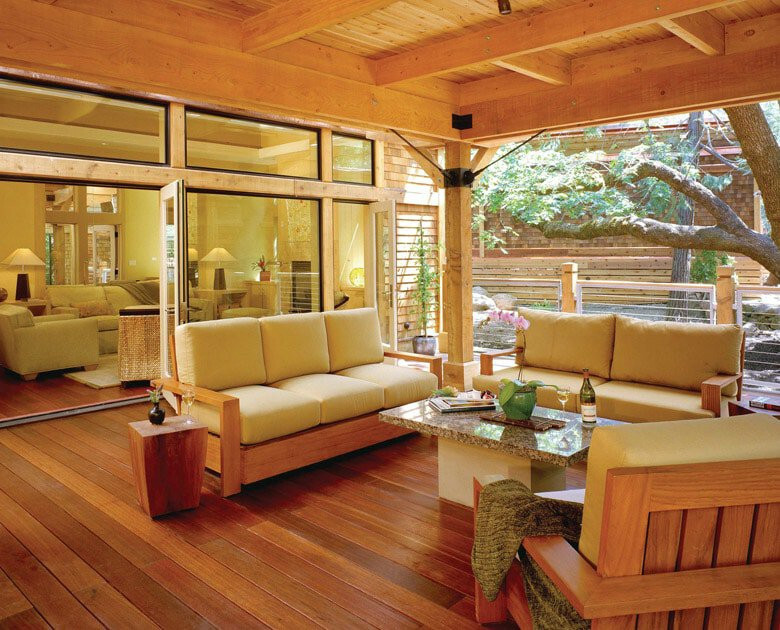 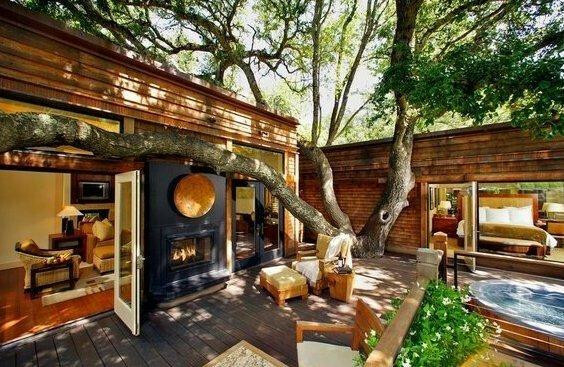 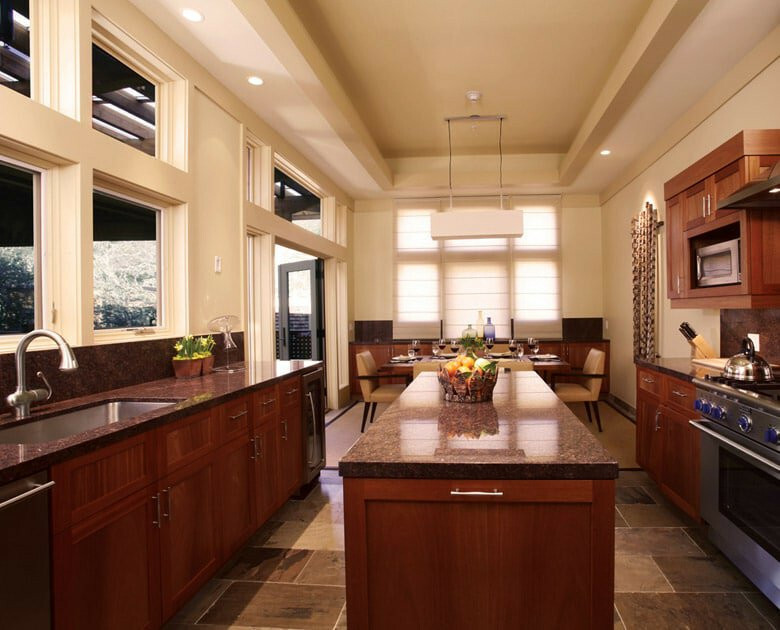 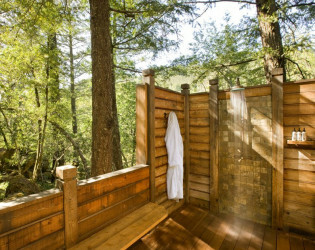 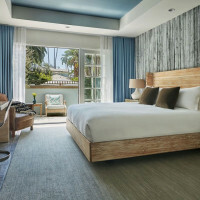 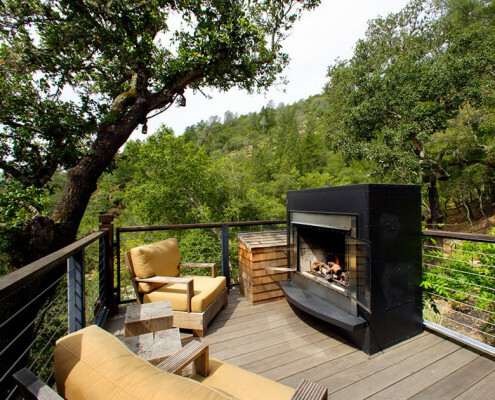 Designed to inspire serentiry in an organic environment, Calistoga Ranch embraces the California indoor / outdoor living. 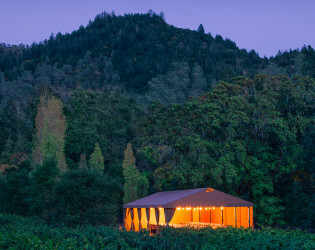 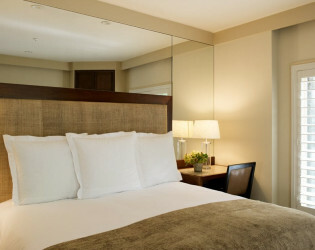 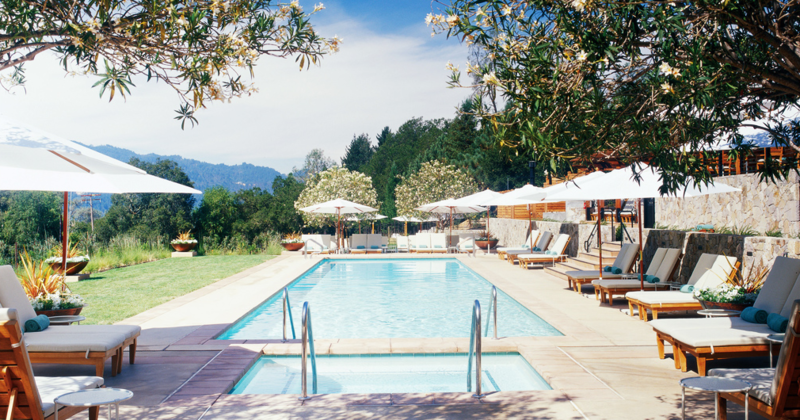 Calistoga Ranch is the award winning vineyard destination resort in California’s Napa Valley. 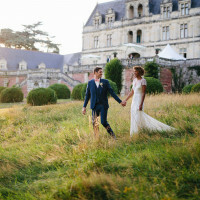 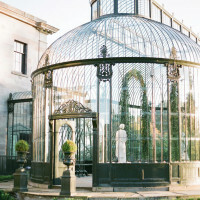 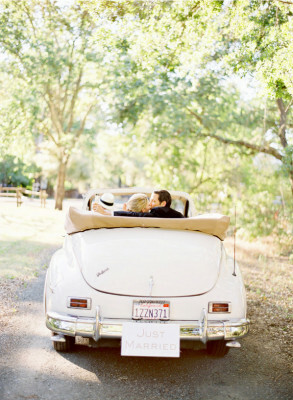 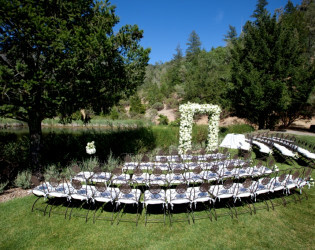 Its surroundings are organic, yet magical in providing the perfect background for premiere luxury weddings. 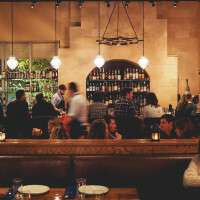 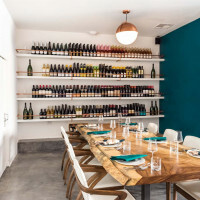 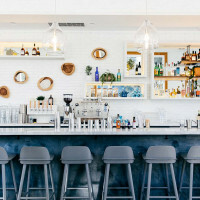 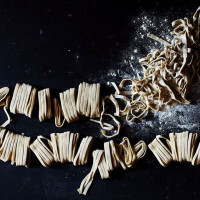 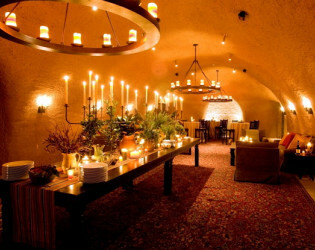 $255 per Person Food & Beverage Minimum, Plus 23% Service & 7.75% Tax. 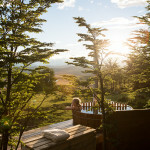 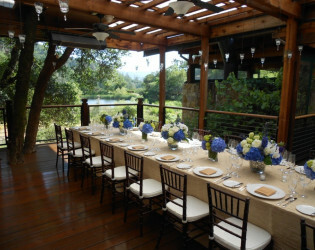 50 Guest Lodges ranging from 600 sqft Lodges, 1,200 sqft Lodges and 2 bedroom 2,400 sqft lodges. 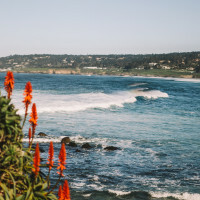 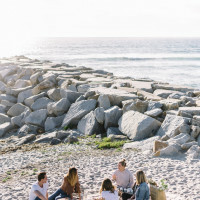 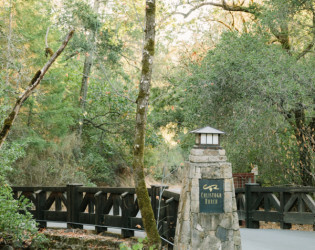 The 157 acre private resort encompasses 50 guest lodges offering overnight accommodations, world class spa services, sweeping views of historic Lake Lommel, and a magnificent Wine Cave offering the talents of our Lakehouse Restaurant chefs. 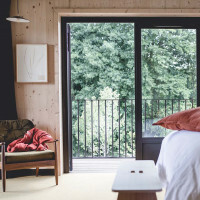 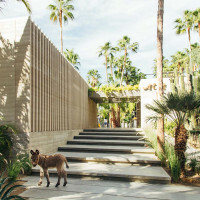 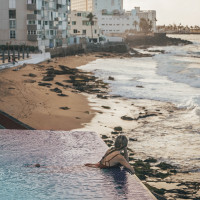 The property's contemporary architecture is inspired by its natural surroundings and is designed to fit the landscape, with a focus on indoor-outdoor living. 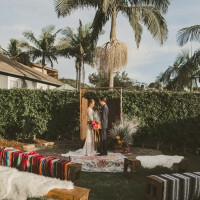 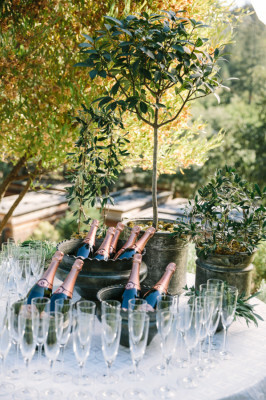 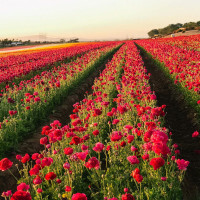 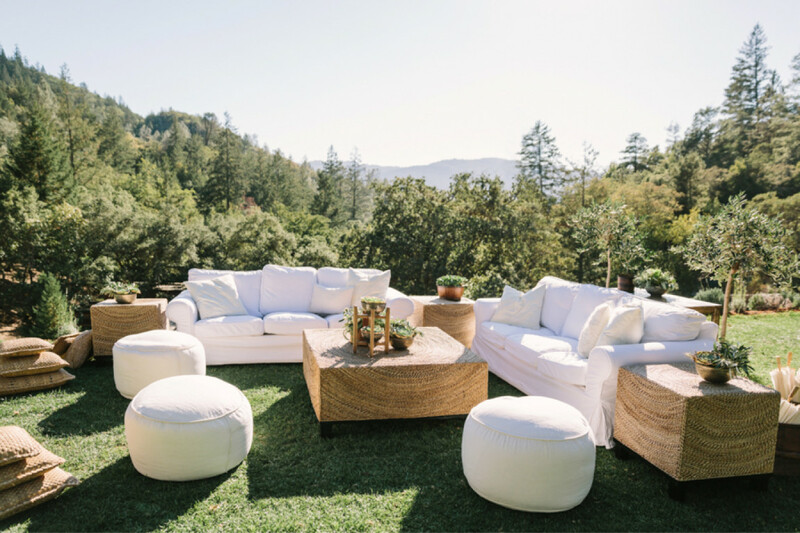 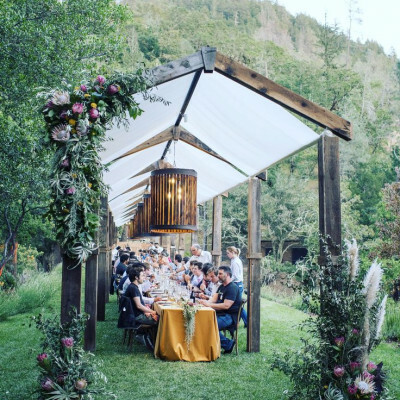 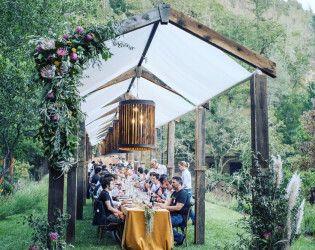 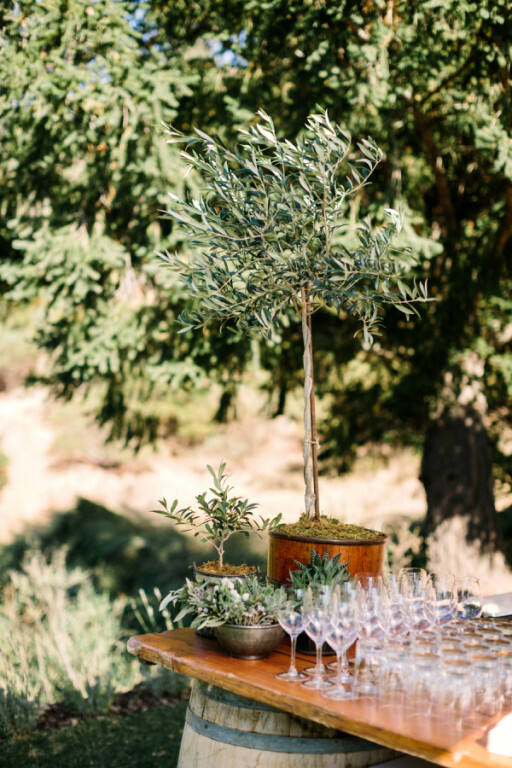 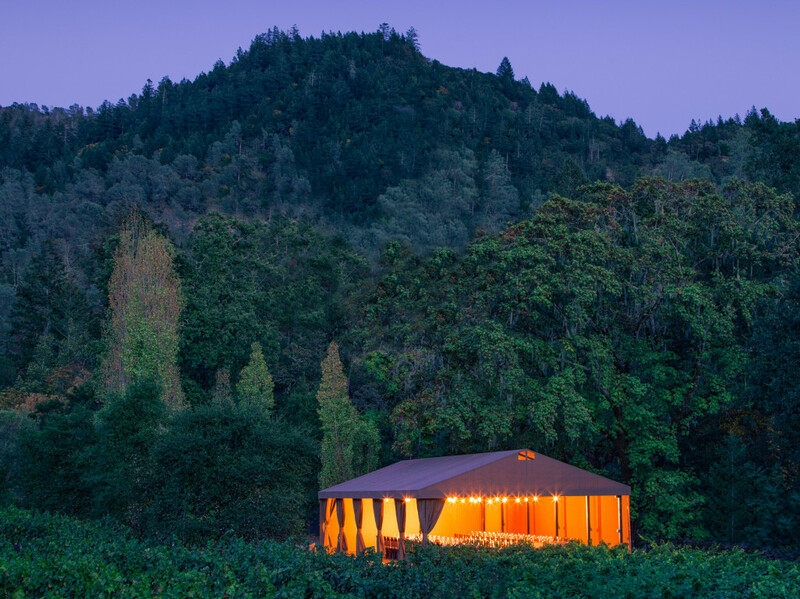 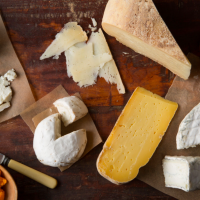 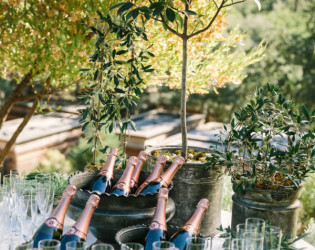 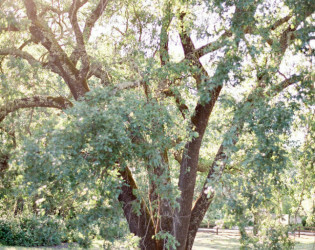 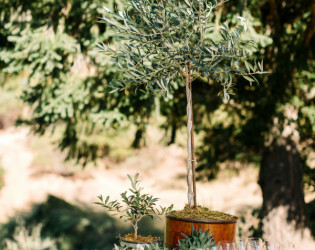 In keeping with the rich heritage of Napa Valley, Calistoga Ranch features an on-site vineyard and beautiful working gardens, where wedding guests can share in local traditions of bountiful food and wine. 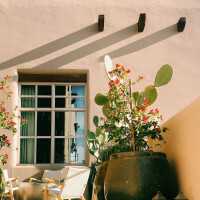 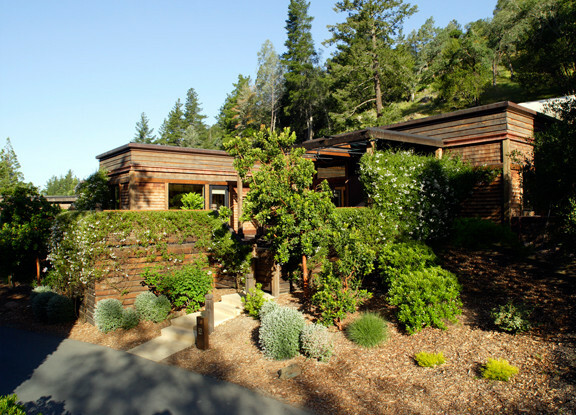 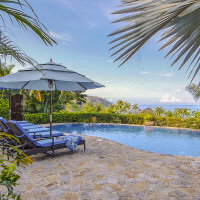 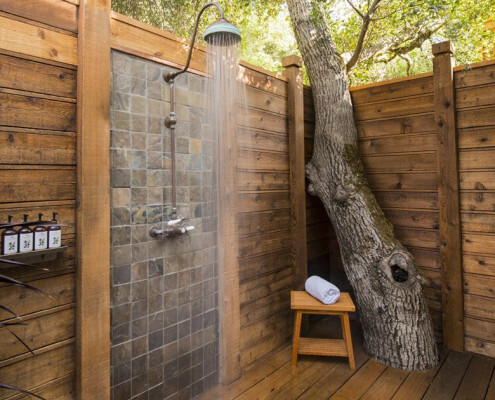 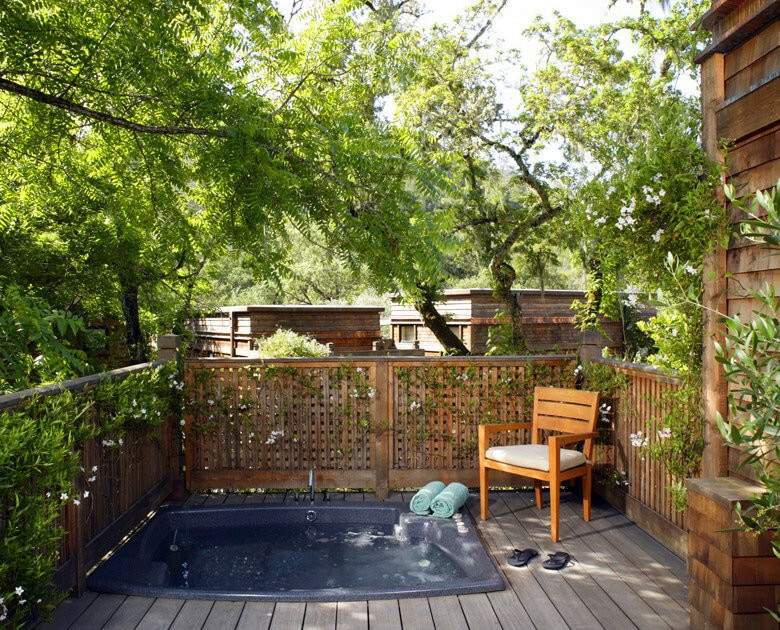 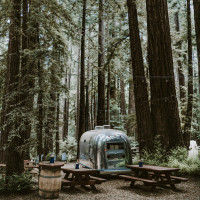 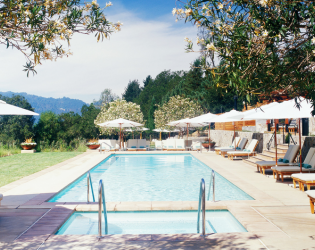 Resort guests also enjoy a number of recreational activities, including swimming in a pool overlooking the vineyards and hiking amongst hundred year old oak groves on Calistoga Ranch's private trails. 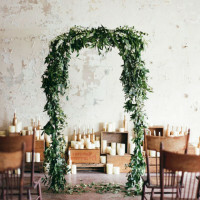 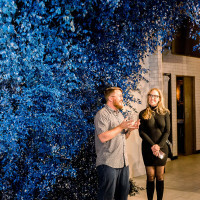 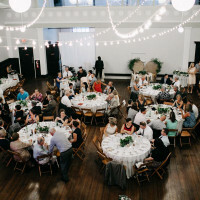 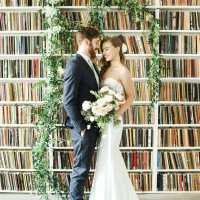 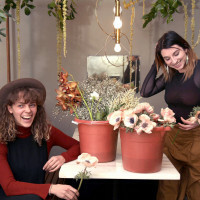 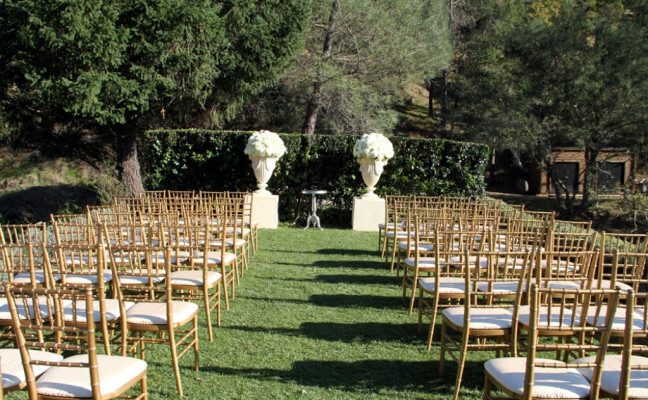 Site fees include the use of 2 function spaces ( ceremony and dinner ), standard set-up and break-down for a total of six (6) hours. 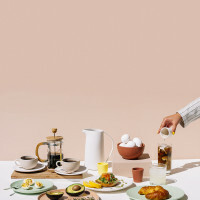 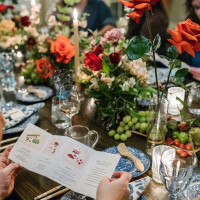 Calistoga Ranch standard house equipment included is as follows: Linens, flatware, stemware, china, tables, chairs, votives and printed menus. 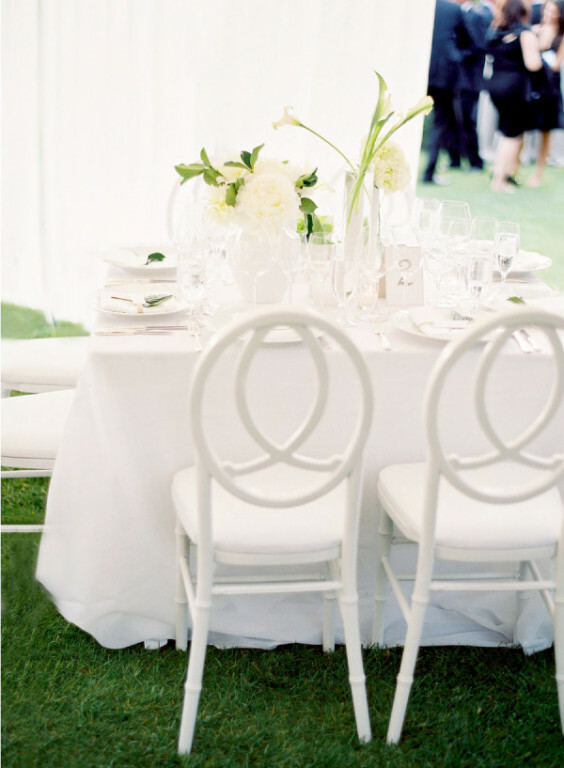 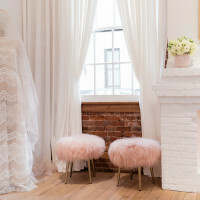 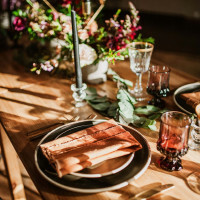 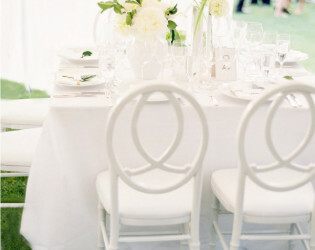 Specialty linens, flatware, stemware, china, tables, chairs and lounge furniture are available through our preferred vendors. 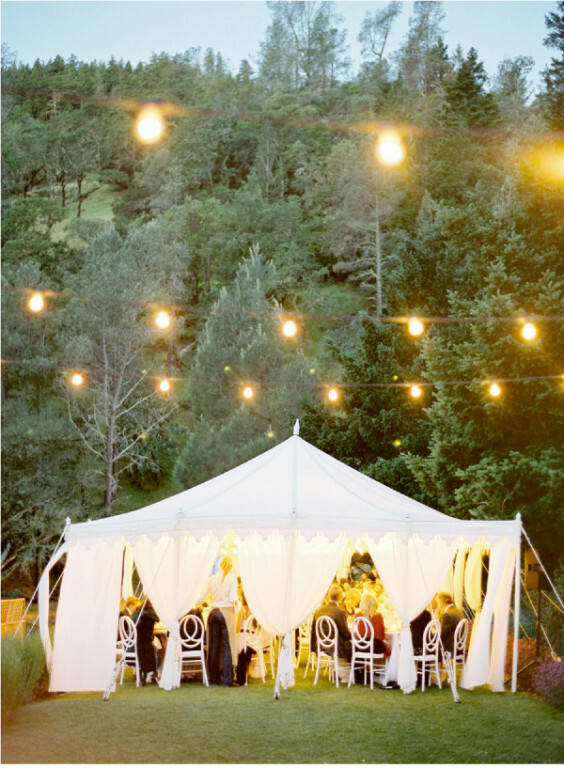 After 6 hours or midnight, you may continue your event for additional fees. 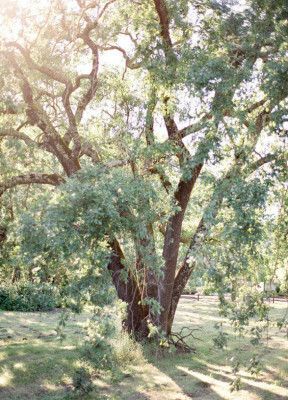 Mature trees on the acres that Calistoga Ranch sits on. 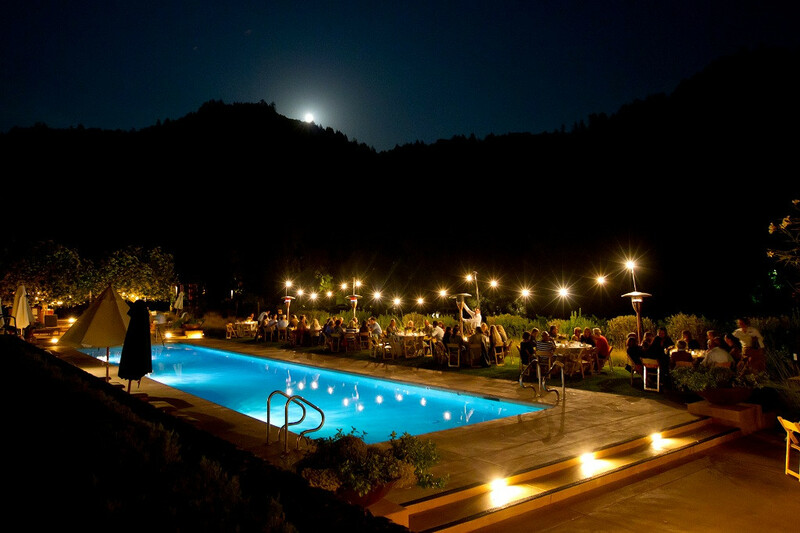 As the sun sets the market lights sparkle in the night sky, ideal for cocktails on the lawn. 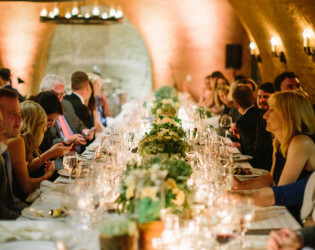 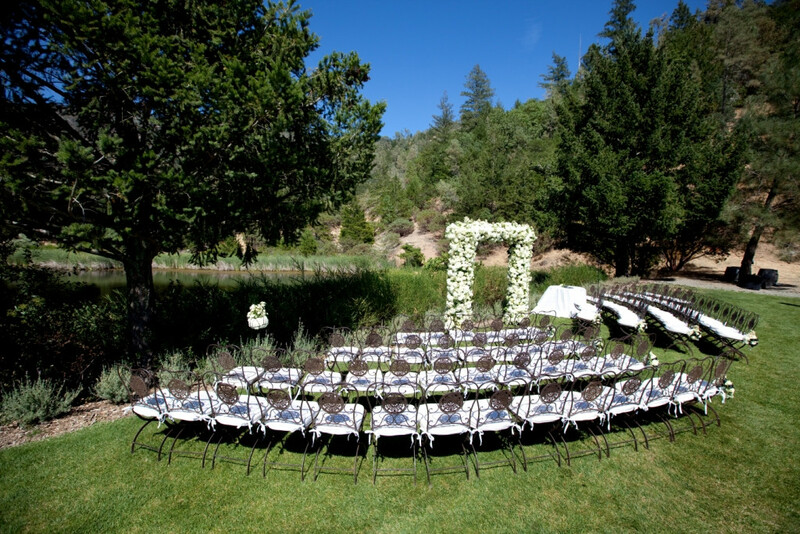 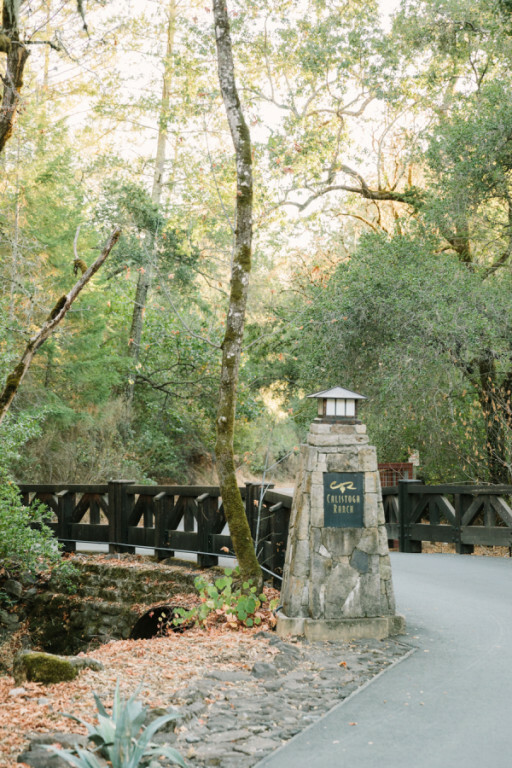 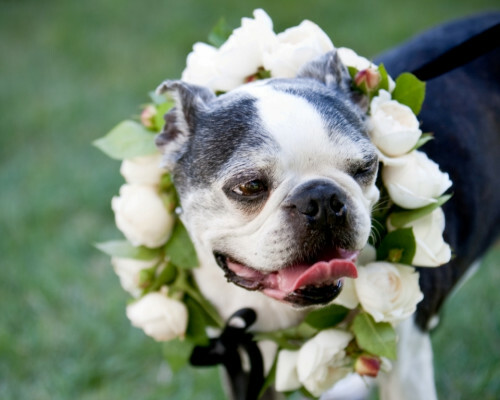 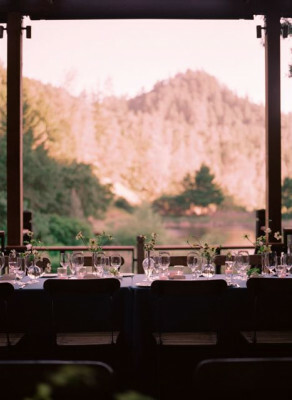 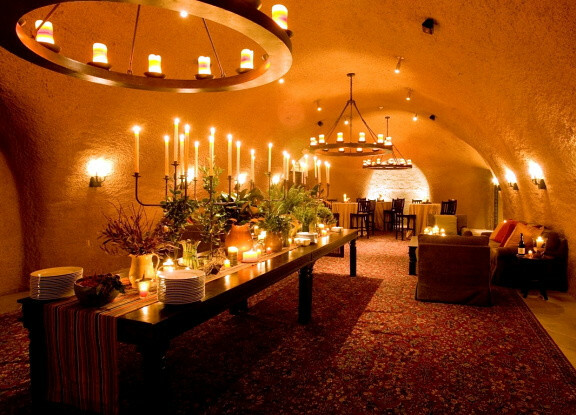 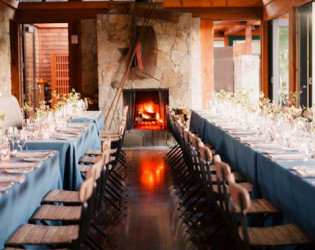 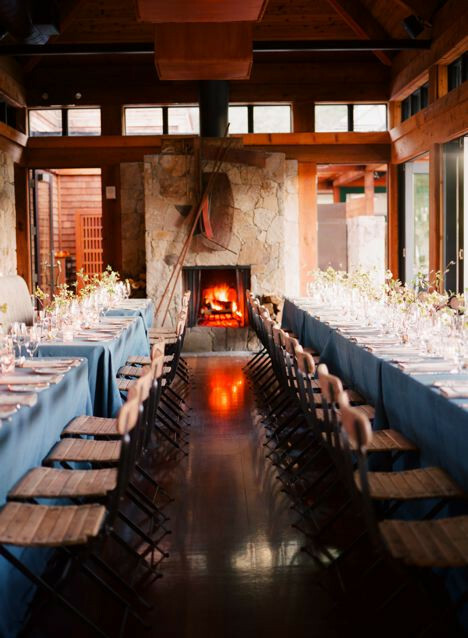 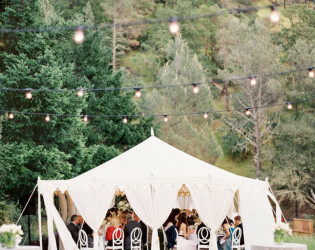 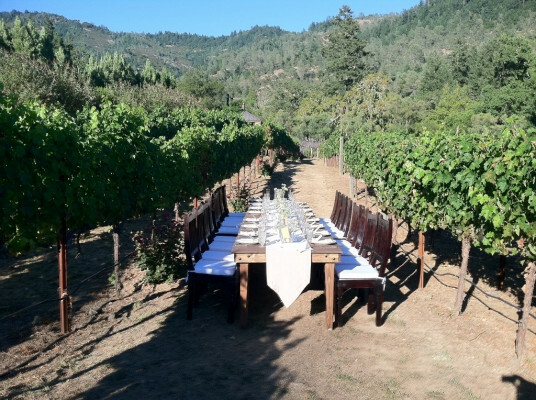 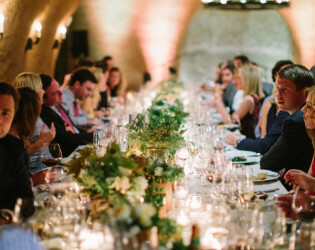 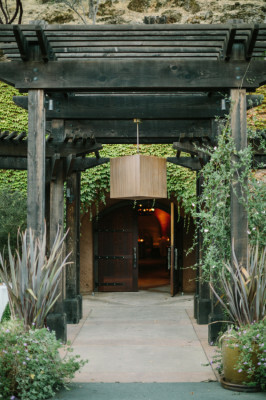 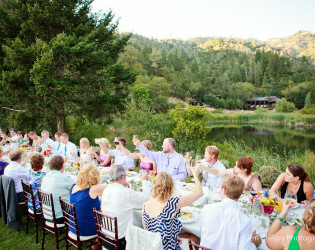 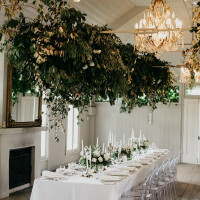 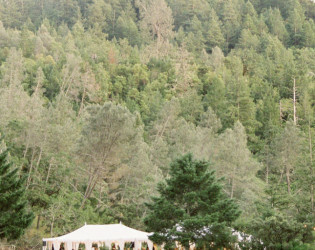 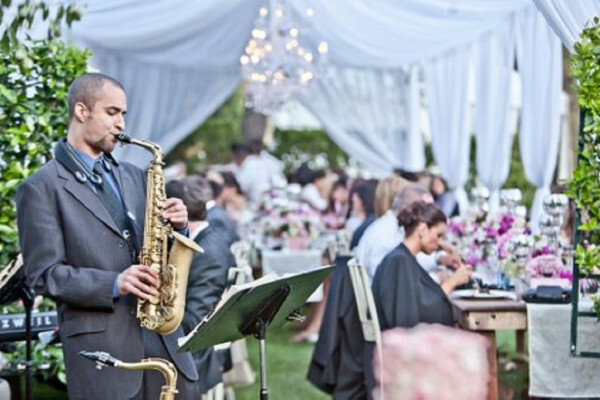 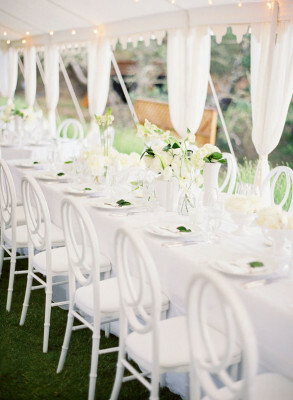 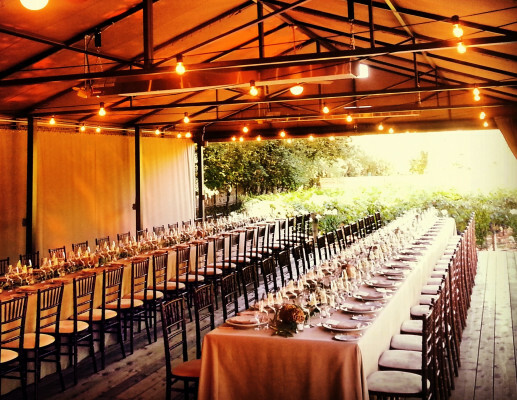 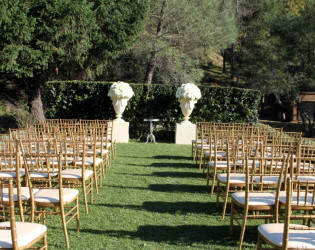 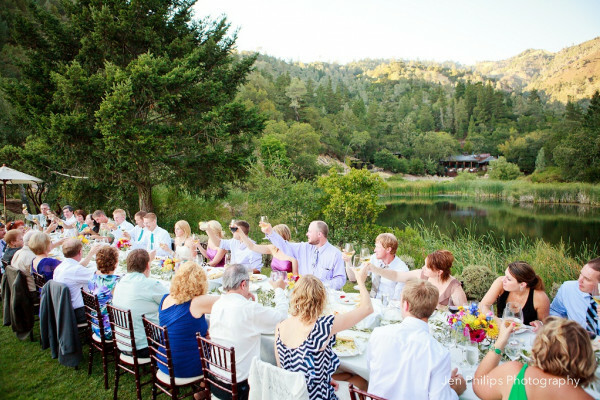 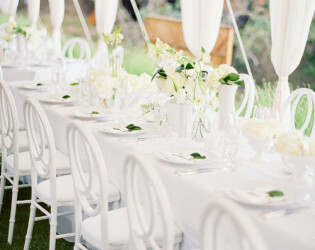 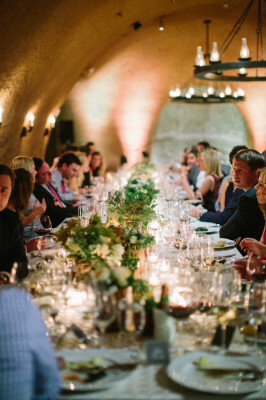 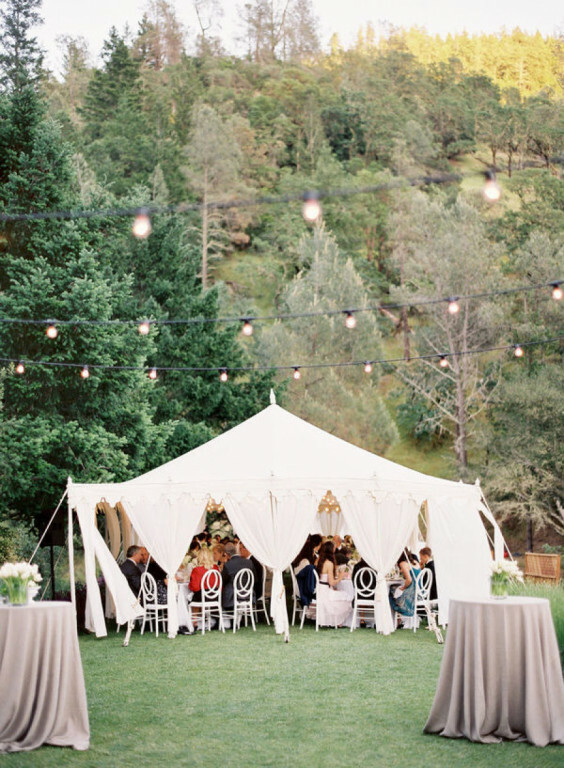 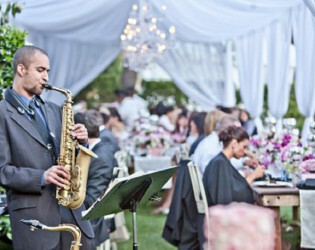 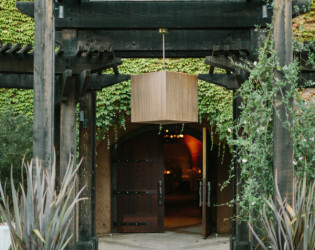 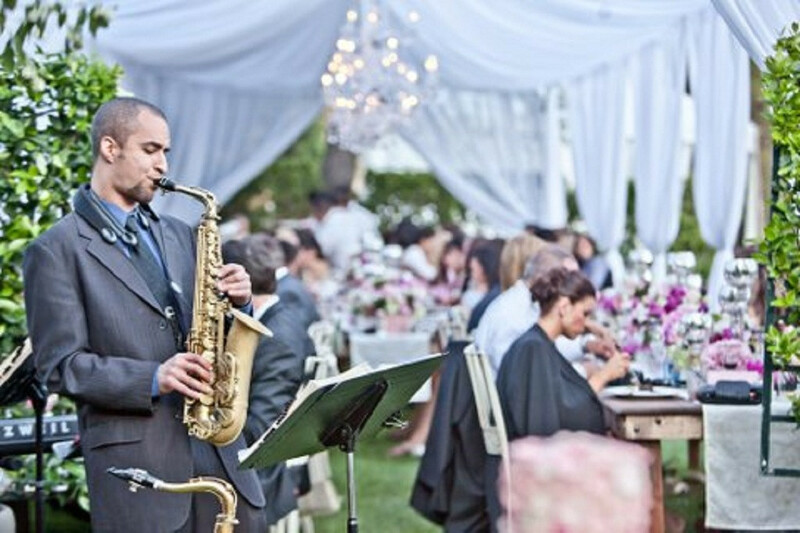 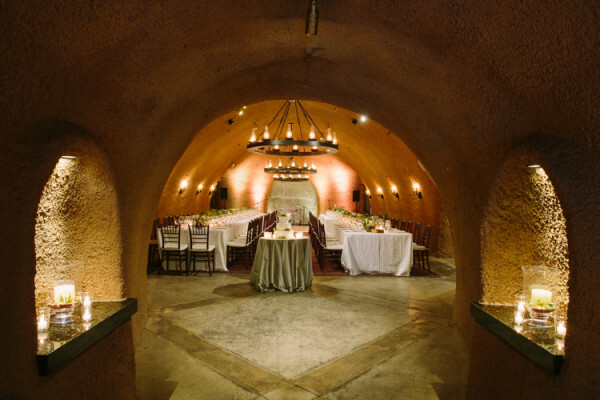 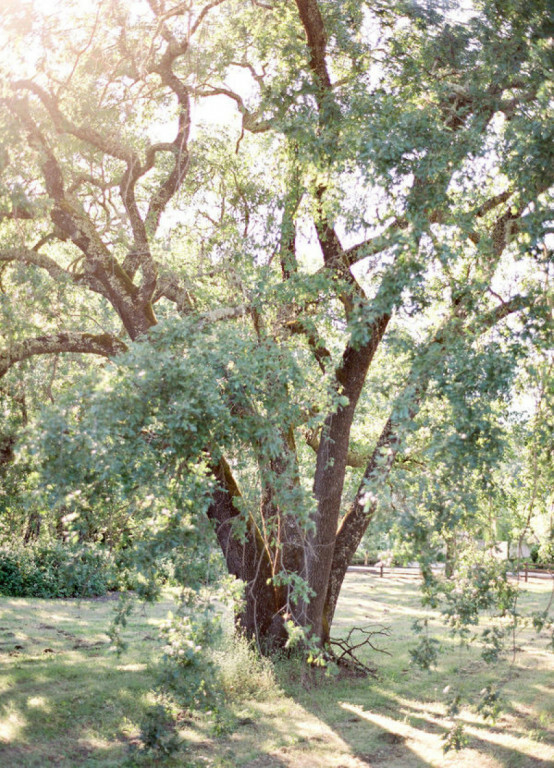 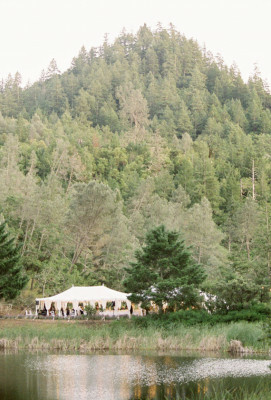 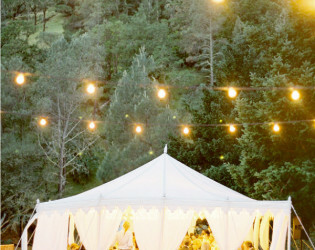 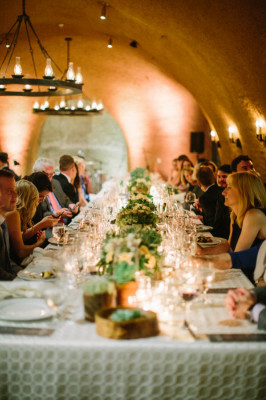 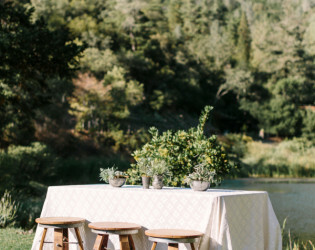 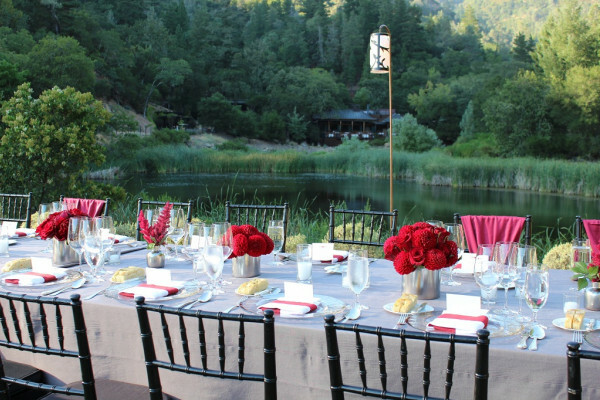 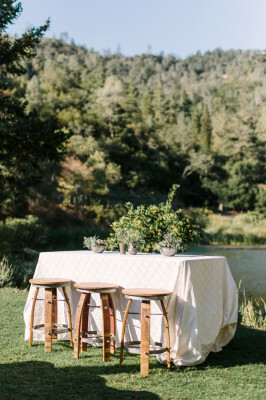 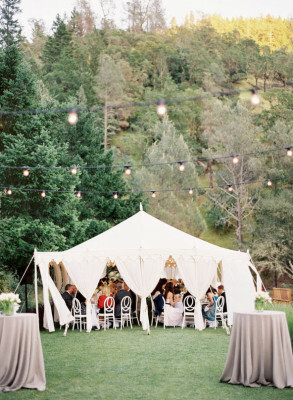 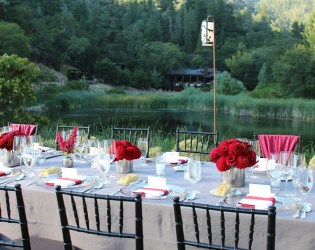 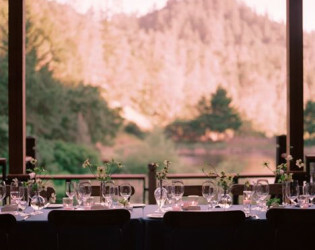 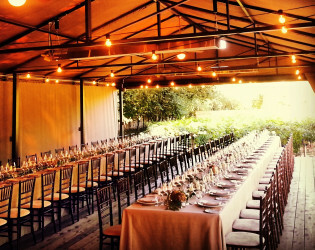 Calistoga Ranch is an ideal rehearsal dinner venue with both indoor and outdoor dining options. 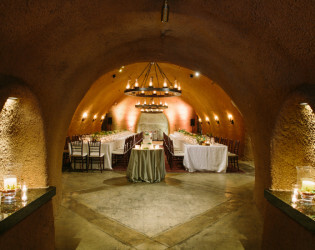 The Wine Cave Venue Space. 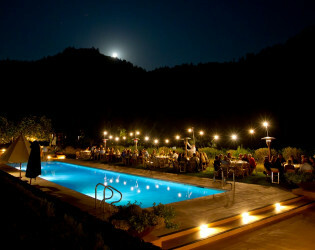 With a curfew of 2am you can stay up late! 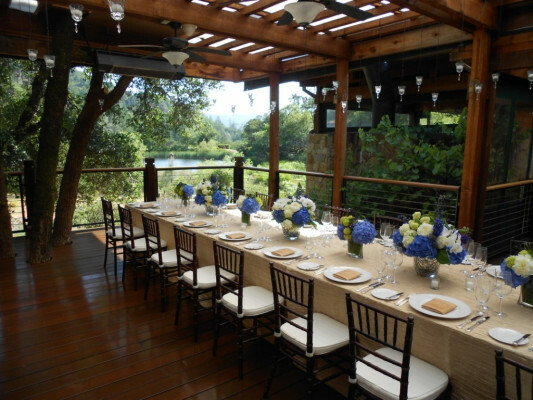 The accommodations at this venue make it ideal for corporate retreats, workshops, weddings, getaways & events.